How can Beckertek help you? At Becker Staffing, we evaluate the history, capabilities, needs and objectives of each individual through extensive interviews. This helps to assure good results for both our candidates and our clients. Our ability to identify the best candidates and to follow up effectively also contributes to our high rate of success. Most of all, our relationships are based on mutual respect, complete confidentiality and the utmost in professionalism. Final tips for the live interview! You will need these cards for follow-up thank you notes. 8. IF YOU WOULD LIKE TO WORK FOR THIS CLIENT THEN ASK FOR THE JOB AT THE INTERVIEW. “I’m very impressed with what I’ve seen here today. I have enjoyed learning about your company and its products or services. I’m confident I could do an excellent job in the position”. “I am very interested in the opportunity that you have outlined in this interview. What are the next steps in the interviewing/hiring process for me”? 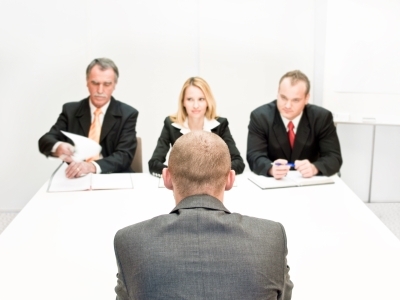 If you are not interested in the position or don’t think the interview went well then don’t let your feelings show. Often other positions become available that might be of interest to you and by leaving a positive impression you may be considered by them in the future. Occasionally an interviewer, who is genuinely interested in you, may seem to discourage you as a way of testing your reaction. If you reach for the job it shows your true desire. If you don’t chase after the position, it may indicate a lower level of interest. Renee accepting her award! Congrats! One of Philadelphia’s 100 Best Run Companies! On Thursday, June 7th, Renee Becker attended a black tie affair sponsored by SmartCEO, honoring Becker Technical Staffing as one of Philadelphia’s 100 Best Run Companies. Congratulations to Renee Becker and her staff! Men should wear a dark business suit, white shirt, conservative tie and polished black shoes. Women should wear a dress with jacket or professional pantsuit. Are you currently searching for a job or new career change? We would like to help you! Check our News on Jobs tab weekly for updates on current jobs we are looking to place. We employ a consultative team comprised of the best in the staffing industry. Our team has expertise in recruiting for your most challenging roles across many industries. We pride ourselves on customer service with a personal touch. We have high-tech search and sourcing capabilities run on a SaaS. We can offer a customizable Vendor Management Service to streamline your HR department. We make Your process, Our process.